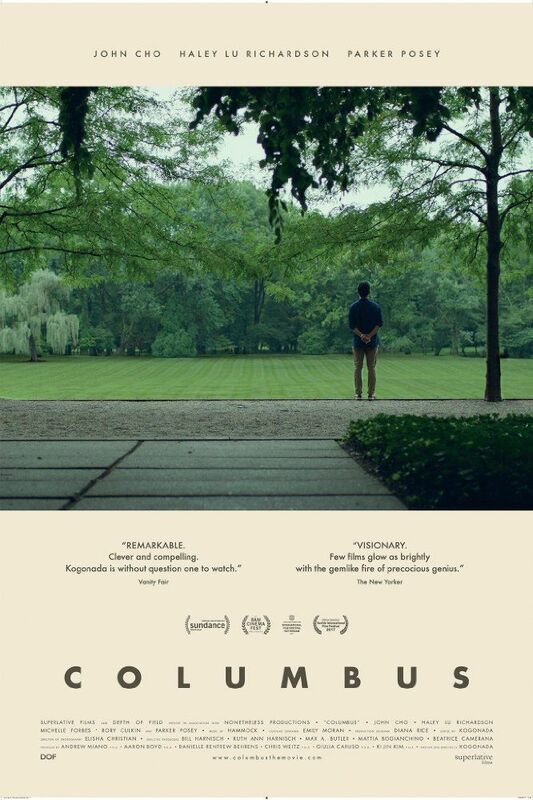 A Korean-born, American-raised man finds himself stuck in Columbus, Indiana, where his estranged architect father is in a coma. The man meets a young woman who wants to stay in Columbus with her mother, a recovering addict, instead of pursuing her own dreams. Together, the two explore the various architectural buildings in Columbus, all the while discovering in each other what they hope to be. Read more on Wikipedia.